A major obstacle to the integrity of northeastern Syria, however, is Turkey. Ankara perceives a serious threat from the People’s Protection Units (YPG), the Syrian-Kurdish militia that dominates the SDF. The YPG is the Syrian wing of the Kurdistan Workers’ Party (PKK), a designated terror group that has been waging an insurgency against Turkey for more than 30 years. Ankara seeks to create a “safe zone” stretching some 20 miles deep into SDF-held northeastern Syria, from which it would expel the YPG. Fear of a Turkish invasion is, in turn, pushing the YPG to seek an independent settlement with Assad—an outcome that would effectively return northeastern Syria to the regime and, by extension, invite in Iran and Russia. To keep northeastern Syria in the hands of its partners, the United States must find an arrangement that placates Turkey. Reforming the SDF to be less threatening to Ankara would be a start. But given the failure of previous U.S. efforts to strike a deal between Turkey and the YPG, Washington should also try to structure the parties’ economic incentives in a manner that favors cooperation. By using American aid and investment to promote the economic integration of Turkey and northeastern Syria, for example, Washington can foster improved relations between the Turks and the Syrian Kurds. And by combining these efforts with comprehensive sanctions against the Assad regime, the United States can weaken Damascus and increase its own leverage in negotiating a favorable outcome to the Syrian civil war. 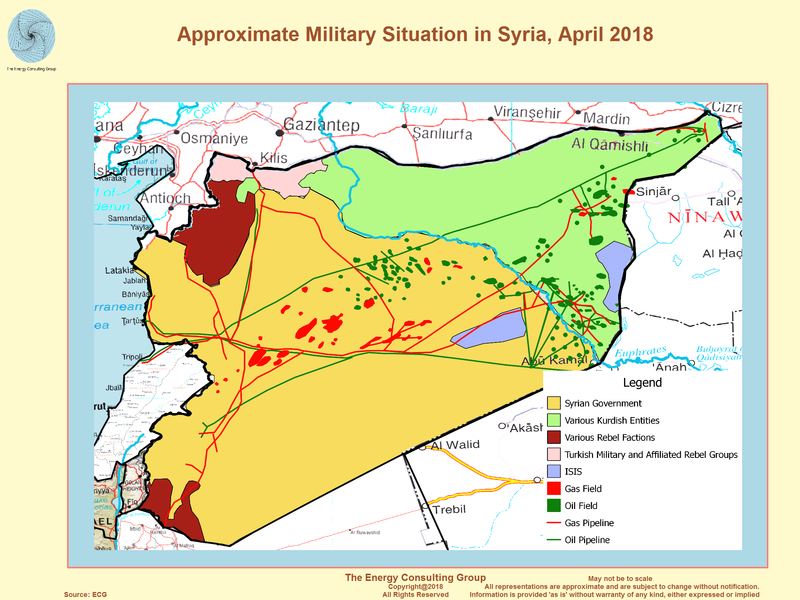 Syria is currently in a state of de-facto partition, with the SDF controlling virtually all of the country’s northeast. This area—about one-third of the country—contains more than 90 percent of Syria’s remaining oil reserves and a significant portion of its viable agricultural land. Keeping northeastern Syria in the hands of the SDF is crucial to ensuring the enduring defeat of ISIS and preventing Iranian expansion. The U.S. force in Syria, officially some 2,000 troops, currently protects the SDF-held zone. American forces train SDF fighters, coordinate coalition air strikes, and deter hostile ground operations from other regional powers. Although the U.S. troop presence is set to decrease over the coming year, the residual force of 400 troops—including the 200 set to remain in the vital town of al-Tanf in western Syria—should be enough to continue with these core missions. The SDF has been a loyal and effective partner in the fight against ISIS. To be a viable security force in the long term, however, it needs to be reformed to better reflect the local populations it is protecting. Currently, the SDF recruits local Kurdish and Arab fighters to provide internal security, while its political arm, the Syrian Democratic Council (SDC), helps establish civil councils formed of locals representing all ethnic factions. Yet in practice, the YPG still dominates the SDF’s command structure and trains all recruits in strict PKK ideology, while Kurds call the shots in the SDC-led councils. To alleviate interethnic tension and preempt violence that might flow from it, the United States should attempt to limit the YPG’s ideological influence by conditioning further support for the SDF on the expansion of local Arab recruitment into the group’s command structure. Such reforms would be in line with the SDF’s professed political philosophy, which aspires to a decentralized, representative administration in territories it oversees. Reforming the SDF is the first step toward winning Turkey’s cooperation in the maintenance of a U.S.-aligned zone in northeastern Syria. Politically, Ankara’s foremost fear is the emergence of an autonomous Kurdish region bordering Turkey’s own Kurdish-dominated southeast. A more decentralized SDF could allow the YPG’s political wing, the Democratic Union Party (PYD), to, if elected, continue governing Kurdish-majority provinces in the SDF zone. But shifting more power to the SDF’s non-Kurdish elements would dilute the influence of nationalist Kurds within the group, allowing both local Arabs and Turkey to more easily stomach the SDF’s existence. Turkey will surely continue to object to an SDF that includes the YPG. Since the YPG depends on the PKK for commanders, militants, training, and weapons, Ankara will see any YPG-controlled territory as a threat to its security. Turkey would prefer to create a safe zone in northeastern Syria, in which the Turkish military would occupy Kurdish population centers and clear them of YPG militants, as it did in the Kurdish canton of Afrin in early 2018. Because the United States is unwilling to support such an operation against its Kurdish allies, Ankara has turned to Russia for help. Realistically, however, the United States is the best-positioned actor to ensure that northeastern Syria does not become a PKK sanctuary. Iran, Syria, and Russia have a long record of employing Kurdish groups as proxies against Turkey, and are ready to do so again. The United States, by contrast, is already working with Ankara to move certain YPG militants away from the Turkish border, and in the long term it could use its leverage over the YPG to lure the group away from the PKK. Although YPG-aligned Syrian Kurds will not abandon their ideological sympathy for the PKK, the United States can reduce the YPG’s reliance on the PKK for security. Indeed, Washington has already forced the YPG to distance itself, at least officially, from the PKK as a condition of receiving military aid. Despite the renewed Turkey-PKK conflict in 2015, the YPG has not launched offensives against Turkey and has clashed with Turkish forces only in self-defense. Washington should condition further U.S. support for the YPG on the group’s continued restraint toward Turkey. Given the United States’ leverage over the Syrian Kurds, Turkish President Recep Tayyip Erdogan may well conclude that he can accept the presence of the YPG in northeastern Syria as long as the group is constrained by U.S. pressure and the formal structures of a decentralized SDF. And now that Turkey’s March 31 municipal elections are over—with no new elections to be held until 2023—the Turkish president has increased latitude to adopt a more pragmatic policy toward Syrian Kurds. In addition to pushing the YPG away from the PKK, the United States should attempt to marshal northeastern Syria’s valuable natural resources to deepen Turkey’s interest in the stability of the region. The SDF now controls almost all of Syria’s oil fields, which, if properly leveraged, could foster peace-building efforts between the Syrian Kurds and Turkey. There is precedent for such an arrangement: at first, Ankara fiercely objected to the existence of the autonomous Kurdistan Regional Government (KRG) in Iraq, which it feared would encourage Kurdish separatism in Turkey. Yet since the beginning of the current decade, Turkey and the KRG have developed close economic relations, extending to the construction of an oil pipeline linking Iraqi Kurdistan to the Turkish port of Ceyhan. Today, Turkish businesses are all over Iraqi Kurdistan, and Erdogan facilitates a controversial oil trade between the KRG and Israel. Erdogan is an opportunist and may well accept an SDF-controlled zone in Syria as long as he is a primary outside beneficiary of its resources. Washington can use its substantial economic leverage in Syria to bring such a deal about. The United States currently contributes large amounts of money for stabilization, recovery, and humanitarian aid in Syria—in March, it pledged almost $400 million to a UN general aid fund for Syria. Yet money from this pool can be allocated anywhere, including outside of Syria and in regime-controlled areas. Similarly, some of the money provided through USAID and in U.S. contributions to the UN Office for the Coordination of Humanitarian Affairs is funneled to western and northwestern Syria, where the Assad regime and terrorist organizations such as Hayat Tahrir al-Sham can manipulate its distribution. Next, the Trump administration should explore directing the Overseas Private Investment Corporation, a development finance institution that has been explicitly tasked with “advancing [U.S.] foreign policy and enhancing American influence,” to help secure funding for American businesses to develop SDF-controlled oil fields and export infrastructure in northeastern Syria. By assisting the SDF in constructing pipelines or improving their local refining capacity, U.S. firms and their Syrian partners could bypass the country’s existing infrastructure, which is controlled by Assad, and potentially export this oil to Turkey or the Erdogan-aligned KRG in Iraq. Admittedly, there are legal questions surrounding OPIC’s ability to invest in what is technically sovereign Syrian territory without the consent of Damascus. But even temporary financing, as long as it helped the SDF develop refineries capable of processing local crude, could greatly increase the group’s bargaining power within Syria and provide Turkey with the economic incentive to strike a deal. OPIC already has a dozen active projects in Ukraine—a country also embroiled in a civil war with foreign-backed proxy forces—amounting to a total commitment of close to $1 billion, some of which is helping Ukraine wean itself off of Russian energy. The corporation could similarly be made into a powerful player in Syria. Even as Washington promotes cooperation between Turkey and the Syrian Kurds, it should continue to ramp up the economic pressure against the Syrian regime and its backers in order to make Assad as weak as possible. The United States should tighten its sanctions regime against Damascus by focusing additional scrutiny on nongovernmental organizations operating in Syria—which the Assad regime has at times used as a tool for evasion—and the U.S. Treasury Department should continue to target Syria’s currency reserves, assets, and collaborators. Without northeastern Syria, Assad will lack access to almost all of Syria’s remaining oil reserves, in addition to much of its arable land, on the heels of Syria’s worst crop yield since 1989. By strangling the regime’s economy, the United States will hurt not only the Assad regime but its backers in Moscow and Tehran, who will be stuck propping up an expensive, economically moribund partner. Syrian oil could help alleviate Turkey’s dependence on Iranian hydrocarbons, supporting broader U.S. objectives in the region. And forming Turkey and SDF-held northeastern Syria into a U.S.-aligned bloc would create a vital counterweight to the Iranian-Russian-Syrian alliance in the Middle East. Finally, such an agreement could begin to improve U.S.-Turkish relations, which have been strained in recent years—in no small part due to disputes over Syrian Kurds. A NATO ally straddling Europe and the Middle East, Turkey is a vital player in Middle Eastern power politics. As its relations with Washington have frayed, Ankara has sought to cooperate with Moscow and Tehran to protect its regional interests. Folding Turkey back into a U.S.-led regional bloc—one that would address Turkey’s security concerns about the YPG while providing it with ecaonomic incentives for cooperation—would deal a major blow to Iranian and Russian designs in Syria and the broader Middle East. Syria is not a U.S. quagmire, as some assert. Nor does Washington’s impending troop reduction render any attempt to pursue U.S. goals in the country hopeless. The United States still has cards to play in Syria. If it plays them well, the U.S. intervention in Syria may yet become an enduring American success.